Maoists have put up posters and banners in Wayanad asking citizens to boycott the upcoming Lok Sabha election and join their group. 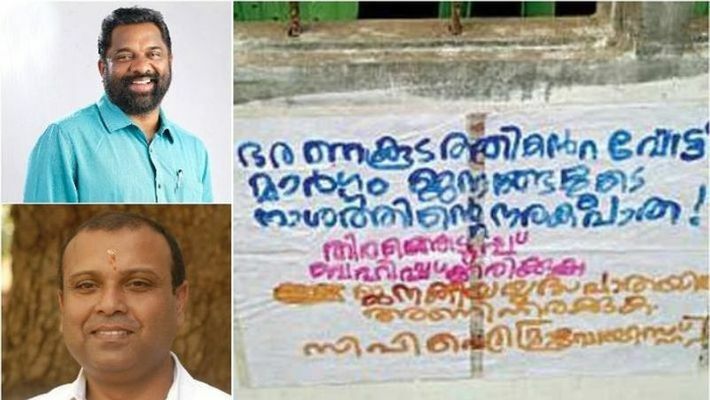 These posters have become a threat to Wayanad candidates. Wayanad: Kerala Police say that have received an intelligence report stating that Maoists could pose a threat to Wayanad constituency candidates. Maoists have already put up posters in Thirunelly, Wayanad telling voters to boycott the election. The intelligence report also suggests that Maoists may kidnap the candidates ahead of the election. “The changing governments in Kerala are adopting anti-peasant policies, so the polls should be boycotted,” Maoists stated in their posters. On April 8, Maoists put up posters and banners in Wayanad telling citizens to boycott the upcoming Lok Sabha election and join their group. According to sources, a letter had also been sent to the Wayanad Press Club which stated that the group was seeking support to boycott the election. Congress candidate Rahul Gandhi, NDA candidate Thushar Vellappally and CPI candidate PP Suneer are the key candidates from Wayanad. Kerala Police have been on high alert in Wayanad after Maoist leader CP Jaleel was killed during an alleged exchange of fire with police on March 6 this year. Wayanad became a ‘high-profile’ constituency after Rahul Gandhi’s candidature was declared. Security has been tightened in the hilly district. Security has been tightened based on the intelligence which indicated that there are chances that candidates campaigning in the forest areas would be abducted.